The average American’s lack of awareness of the past has left our nation in an extremely vulnerable position. The multi-culturalism, pluralism, “diversity,” and political correctness that now blanket American culture mean that many are oblivious to and unconcerned about the threat that Islam poses to the American (and Christian) way of life. The Founders of the American Republic were not so dispossessed. They were well-studied in the ebb and flow of human history, and the international circumstances that could potentially impact America adversely. They, in fact, spoke openly and pointedly about the anti-American, anti-Christian nature of the religion of Islam. Consider, for example, the writings of an early President of the United States, John Quincy Adams. 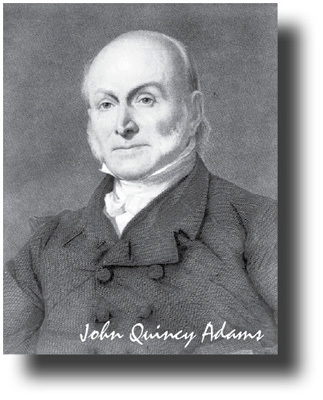 Not only did Adams live during the founding era (born in 1767), not only was his father a primary, quintessential Founder, but John Quincy was literally nurtured by his father in the vicissitudes and intricacies of the founding of the Republic. John Adams involved his son at an early age in his own activities and travels on behalf of the fledgling nation. John Quincy accompanied his father to France in 1778, became Secretary to the American Minister to Russia, was the Secretary to his father during peace negotiations that ended the American Revolution in 1783, served as U.S. foreign ambassador, both to the Netherlands and later to Portugal, under George Washington, to Prussia under his father’s presidency, and then to Russia and later to England under President James Madison. He served as a U.S. Senator, Secretary of State under President James Monroe, and then as the nation’s sixth President (1825-1829), and finally as a member of the U.S. House of Representatives, where he was a staunch and fervent opponent of slavery. The precept of the koran is, perpetual war against all who deny, that Mahomet is the prophet of God. The vanquished may purchase their lives, by the payment of tribute; the victorious may be appeased by a false and delusive promise of peace; and the faithful follower of the prophet, may submit to the imperious necessities of defeat: but the command to propagate the Moslem creed by the sword is always obligatory, when it can be made effective. The commands of the prophet may be performed alike, by fraud, or by force (Blunt, 29:274). 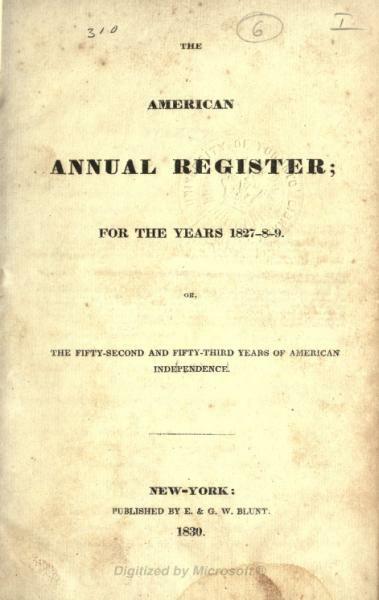 Blunt, Joseph (1830), The American Annual Register for the Years 1827-8-9 (New York: E. & G.W. Blunt), 29:267-402, [On-line], URL: http://www.archive.org/stream/p1americanannual29blunuoft.